Marny Mansfield, PATH Intl. Certified Professional of the Year, and Kaitlyn Ucker, PATH Intl. Youth Equestrian of the Year, accept their awards at Friday night's Awards Banquet. Thank you for making the 2014 conference fantastic and full of the good vibrations San Diego is known for. With packed sessions, high energy events and meetings with new friends as well as long-time colleagues, the conference will be a bright spot in our memories. Thank you again to our Region 11 Host Committee. And thanks to Bill Lavin and his Region 4 cohorts, we look forward to 2015 in Cleveland! Look for a full conference write-up in the next issue of PATH Intl. Strides magazine. Handouts from the PATH Intl. Conference and Annual Meeting sessions are available on the website. PATH Intl. Sponsors and Exhibitors! PATH Intl. was awarded $100,000 for the period of October 1, 2014 to September 30, 2015. Funds will benefit an estimated 1,500 deserving veterans as a result of their direct participation in equine-assisted activities and therapies at PATH Intl. Premier Accredited Centers. For the period of October 1, 2014-September 30, 2015, PATH Intl. 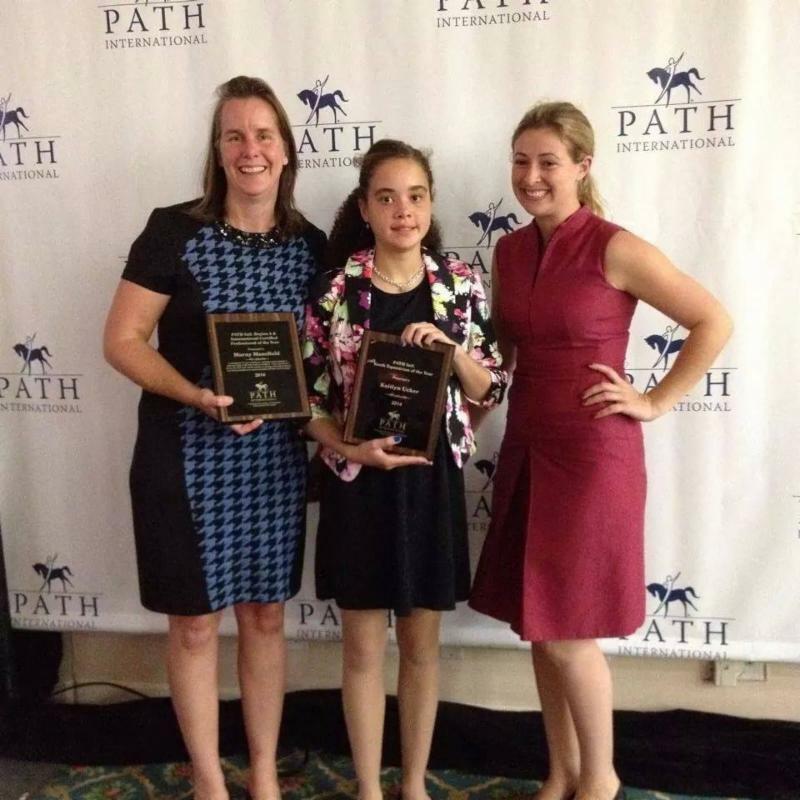 will provide $50,000 in reimbursements for direct participation in equine-assisted activities and therapies at PATH Intl. Premier Accredited Centers. Allocations of $5,000 will be awarded to a minimum of 10 centers as a reimbursement for EAAT services provided for VSM. Funds will be allocated until the $50,000 is expended. Click here for the application and guidelines for PATH Intl. Premier Accredited centers. For more information or questions, please contact Stefani Viktora-Anderson. Are you a person living with paralysis? Are you the family member or caregiver of someone living with paralysis? If so, you may be interested in the Christopher & Dana Reeve Foundation's Peer & Family Support Program (PFSP), a national peer-to-peer mentoring program that provides emotional support, local and national information, and resources to people living with paralysis, their family members and caregivers. Our peer mentors are individuals who are thriving while living with paralysis, and they use their personal knowledge, real life experiences and training to help others. The PFSP has over 350 Reeve certified peer mentors in 35 states and offers both local and remote mentoring. We provide peer mentoring to people who are newly paralyzed or who have been living with paralysis for years as well as those that care for them and to individuals who have paralysis resulting from a variety of causes, including Transverse Myelitis, stroke and MS. For more information about the PFSP, please visit the PFSP website or download our brochure. If you would like to request a peer mentor, please contact the Reeve Foundation Paralysis Resource Center (PRC) at (800) 539-7309, ext. 7226, or go to our website and click on the "Learn more" link in the "Talk to a Peer Mentor" section.